Business Today hosted an engaging panel discussion aboard The Oberoi Motor Vessel Vrinda in the serene environs of Kerala's backwaters on suggestions for better policy making. It was a panel discussion with a difference. 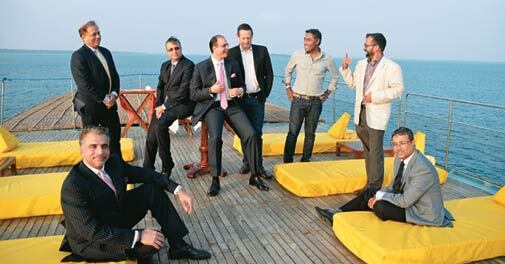 The panellists for the Business Today-Oberoi Group roundtable flew into Kochi on the morning of January 16, and drove to Pathiramanal Island Jetty. 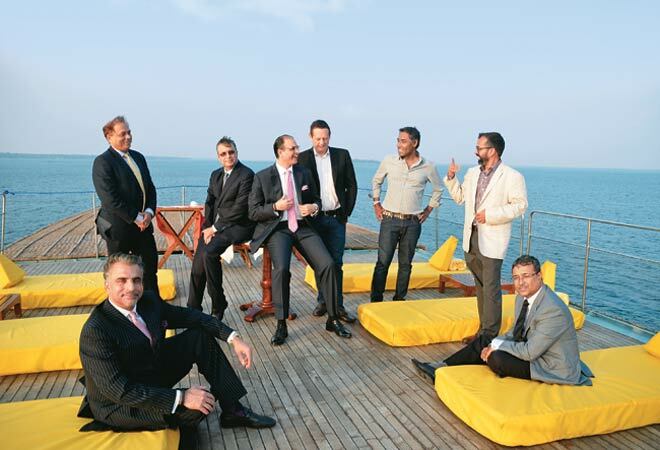 There they boarded The Oberoi Motor Vessel Vrinda, Kerala, a luxury houseboat owned by The Oberoi Group, and spent a day together. There was networking, bonhomie, lots of back-slapping and leg-pulling, champagne, cigars, a delightful vegetarian sadhya lunch of 16 courses, a serene ride through the backwaters, a Kathakali performance, and dinner with scampi and other delicacies. Most importantly, though, there was a dead-serious panel discussion on how the government could be more effective in different industries. It was moderated by Josey Puliyenthuruthel, BT's Managing Editor, who set the tone with a poser on the government's contribution - including central and state government spending, public sector units, etc - to India's gross domestic product (GDP). Many guesses followed - ranging from 50 to 70 per cent. The actual figure is closer to 25 to 30 per cent. "In our minds, the government has a much bigger share of GDP than we think it does, because it has a presence in the economy that is completely out of whack with its contribution," said Puliyenthuruthel, and invited others to share their industry perspectives. First to speak was J.C. Sharma, Vice Chairman and Managing Director of Sobha Developers, a construction and real estate firm. Sharma said buying land was a problem because government records are not reliable, and even after doing due diligence before buying a piece of land, a claimant may surface and the buyer may have to wage a legal battle to get control of the land. Then there are problems of getting 60 to 70 approvals before basic excavation work can start. "Even if you are doing everything right to the T, you still have to manage the local corporator, MLA or police officials," said Sharma. "We work in an over-regulated environment… unfortunately people who flout the rules normally get away." Sharma said the government needed to do three things for the sector: purchasers should get clear title over land they buy; approvals for building should come in a time-bound manner; and the tax structure should be rationalised. Kapil Chopra, President of The Oberoi Group, also an art lover, echoed Sharma's sentiments. Constructing a hotel meant facing similar issues as a real estate builder, including rising interest costs due to delays in approvals. A single-window clearance system would help, he felt, adding too that problems in tourists getting visas was the biggest issue for the Indian travel and tourism industry. He pointed out that German citizens could visit 148 countries without a visa, and another 28 countries provided visa on arrival. In contrast, Germans can't be sure of getting an Indian visa. "What India needs today is a liberalised visa regime… Visa on arrival will give us an additional $4 billion in foreign exchange," said Chopra. "The biggest problem is that the tourism ministry in this incredible country is a lightweight ministry." Chris White, President and Group CEO of RJ Corp, which runs Pepsi bottling plans, Pizza Hut, KFC and beer maker AB InBev's operations in India, compared the country unfavourably with China. The Middle Kingdom's officials went out of the way to help companies grow their business in return for taxes, whereas in India "businesses are looked at as almost illegal", he said. "The multitude of taxes makes it almost like doing business in 28 or 29 different countries," he added. The cost of transporting goods across states was so high that he has had to over invest in factories in different states instead. To help his industry grow, taxes needed to be simplified and lowered; a simple, single-rate GST was needed, and liquor taxes needed to be rationalised. Avinash Vashistha, Chairman and Managing Director for India at Accenture, runs a workforce of over 90,000 - the highest for the company anywhere in the world. He acknowledged that the IT outsourcing industry had actually benefited from the government's policies over the past 20 years, unlike the other industries - a single-window clearance system and incentives being the primary ones. But today, he felt, there was a need for start-up and innovation ecosystems to be incentivised. "We need to create the start-up and innovation ecosystems, and be a little progressive on the labour laws front," he said. Making it easy to apply technology was also critical: "Financial inclusiveness is a big requirement, but there is no way we can do it unless we apply technology." Vikram Madhok, Managing Director of luxury travel company Abercrombie & Kent India, was also happy with initiatives the government - especially the Ministry of Tourism - had been taking. "Visa on arrival will be given to visitors from about 30 to 40 countries - including the US, Germany, France, Spain, Italy. They are just working on the modalities of how best to sort this out," he said. He agreed with White, as did most others, that a simplified tax structure is needed: "We need to have an intelligent taxation regime in this country, which is not really the case now." He also spoke on the need to develop India's vast coastline for tourism purposes. V. Sunil, Executive Creative Director of independent creative agency Wieden & Kennedy, was instrumental in the branding of India's top airline, IndiGo, and the successful "Incredible India" campaign. He felt that design education was critical, as was an understanding of culture. "When you sell tourism, beyond a point you won't be able to sell backwaters and Qutab Minar; we need to actually build cultural sentiments," he said. "If the private sector and the government work together and build a few centres of excellence, things can really change." Sanjay Rishi, President for South Asia at American Express, took a slightly contrarian view. "This is actually a good time to be in financial services," he said. "There's a lot of positive thinking that is happening in the financial services regulatory sphere." He was bullish about India's potential for growth in e-commerce. He said five years ago, at three per cent Internet penetration, China's e-commerce market was $3 billion. In contrast, today at similar Internet penetration, India's e-commerce market is $10 billion. Today, China's e-commerce market is between $130 billion and $150 billion at 30 per cent Internet penetration. "So you can only imagine that when India has 30 per cent penetration in the next five years, what that market is going to look like." He also had three recommendations: simplify KYC (know your customer) norms; remove geographical restrictions for setting up business correspondents; and revise upwards the threshold beyond which spending on a credit or debit card in a fiscal year has to be reported to the income tax authorities. The current threshold is Rs 2 lakh per card. The discussion ended on a positive note with lots of suggestions. Hopefully, the next government, following the polls, will implement some of them for the benefit of industry. *An earlier version of this article carried headcount for Accenture incorrectly.